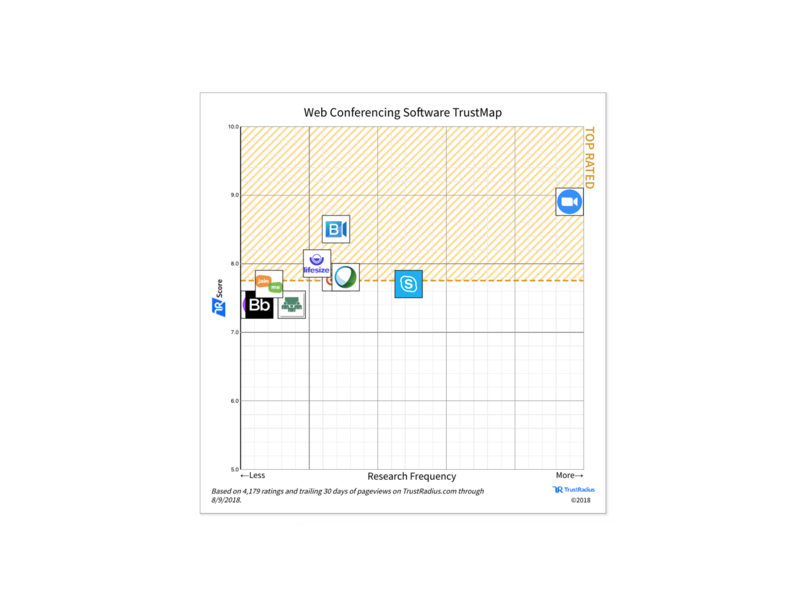 TrustRadius has compared the top web conferencing software, and Zoom is a definite front-runner. This unbiased, third-party comparison is a true indicator of customer experience – average reviews on TrustRadius are over 400 words, every reviewer is authenticated, and over half of the Fortune 500 have published reviews on TrustRadius. When it comes to the overall TrustRadius score, Zoom (at 8.8) is the leader, followed by its competitors with the scores of 8.4, 7.8, and lower. All the scores are based on a 10-point scale. Zoom has outstanding scores in multiple features. Zoom received 9.3 points for desktop sharing, 8.7 for meeting initiation, 8.6 for calendar integration, and 8.5 for online events security. Are you looking for the superior video quality? Zoom, with the highest rating of 9.0, is the answer. The closest runner-up received a score of 8.1. An internet connection isn’t perfect at all times, but don’t let this ruin your meeting. Zoom does an excellent job in low-bandwidth environments – it received the highest score (7.9), while the next highest competitor earned only 6.5. Check out more scores and reviews of Zoom and its competitors – and leave your own review! – at trustradius.com/web-conferencing. If you’d like to see what all the fuss is about, you can sign up for a personalized, 1-1 demo with a Zoom product specialist today.